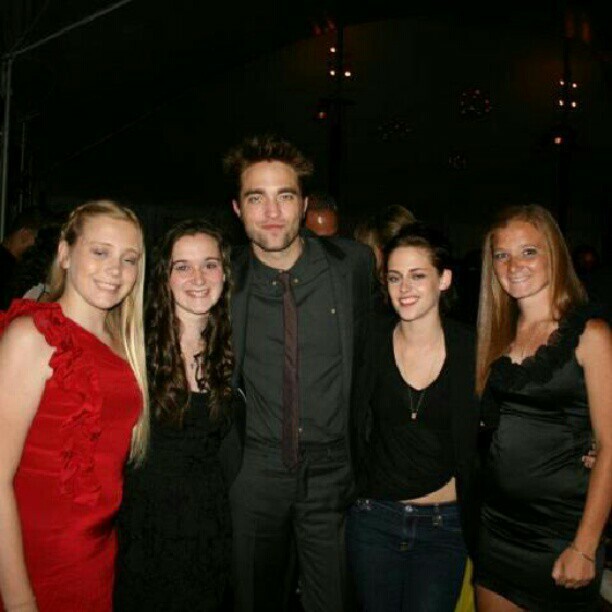 Rob and Kristen at a Wedding in New Jersey (6/23) [Pics + Info]! More pics, tweets, and details after the cut! 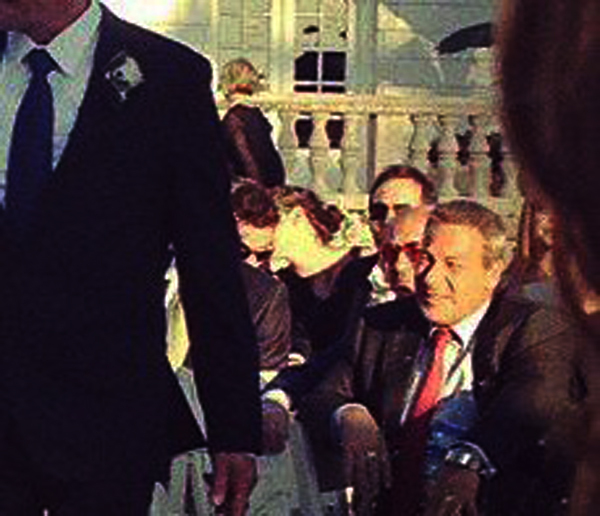 The wedding took place in New Jersey. Twittergirl is the cousin of the groom, producer Kevin Turen. Rob was seen with Turen and his then fiancee (now wife) Evelina Oboza-Turen last December. In the other pic, Rob is with Skateboarder, Mike Carroll. In the ‘DJ’ Pics Rob is with @mikehellertr. After arriving back in Los Angeles Thursday from press duties in Australia, Stewart, 22, hopped back on a plane to attend a wedding in New Jersey with boyfriend Robert Pattinson, 26. 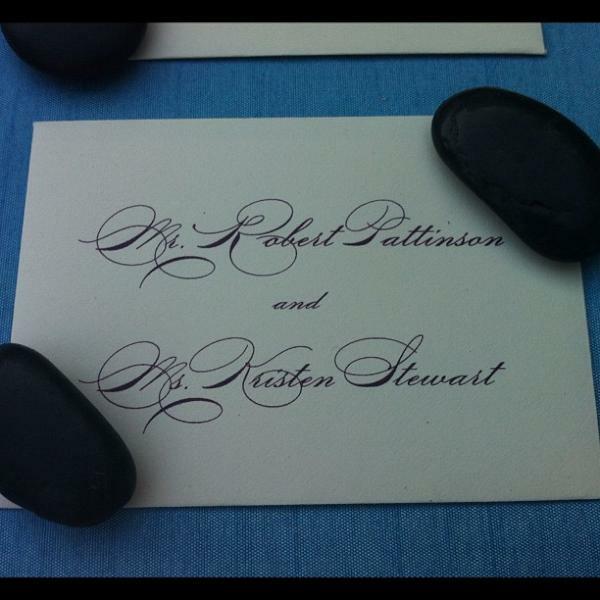 Kristen was Rob’s date to Hollywood producer Kevin Turen’s wedding on Saturday. Pattinson tried his hand at DJ’ing a bit, and Stewart looked on laughing as he tried to figure it out. “It was really cute,” adds the source. “When he was done he playfully ran over and grabbed her. They looked so in love! It seemed like they had a really fun night.” It was a long, fun night indeed– the party raged on until the sun came up. The couple also “kissed and laughed” the night away, but their PDA wasn’t obnoxious “just really cute,” according to Celebuzz sources. Rob also spent time catching up with Andrew Garfield, who has been busy promoting The Amazing Spider-Man. Garfield was absent his on and off-screen love, Emma Stone who had work commitments. The on- and off-screen couple – along with Zac Efron, Andrew Garfield (sans girlfriend Emma Stone) and Will Kopelman (sans wife Drew Barrymore) – made their way to Englewood, N.J., where Hollywood producer Kevin Turen wed Evelina Oboza on Saturday. “They stuck to each other’s side all night,” an attendee tells PEOPLE of Stewart, 22, and Pattinson, 26, who partied with guests until dawn and were spotted walking hand-in-hand during the celebration. And the bride wasn’t the only one (likely) wearing something borrowed. Before heading to the wedding, Stewart realized she forgot her dress. The solution? The Twilight actress strapped on a short, black Zac Posen cocktail dress from the groom’s sister’s closet (that matched her black Christian Louboutin shoes just fine). By the end of cocktail hour, however, she was back in her own wardrobe – jeans, a black tank top and a blazer – as she mingled with fellow guests. Although Stewart didn’t show off the moves she put on display during her Twilight wedding, a date-less Efron, 24, tried his hand at the hora, a traditional Jewish dance, before hanging out with mainly male partygoers for the evening. And Pattinson got in the groove manning the deejay’s laptop for a bit. Meanwhile, a dapper Kopelman kept it friendly, often mentioning “my wife” when he chatted with female attendees. After spending the night at the groom’s house, Stewart headed to Paris for a photo shoot and Pattinson flew back to Los Angeles. Efron kicked back by the pool Sunday until after dinner. Robert Pattinson and Kristen Stewart were among the most-ogled guests at the Saturday wedding of pals Kevin Turen (a Hollywood producer) and Evelina Oboza in Englewood, NJ — a bash also attended by such Hollywood A-listers as Andrew Garfield, Zac Efron and Drew Barrymore‘s new husband Will Kopelman, plus New Jersey Senator Frank Lautenberg. “Rob and Kristen were all over each other,” a wedding guest tells Us Weekly, adding that Kopelman, Efron, musician Matt White and Harry Morton were the groomsmen at the wild bash. Earlier in the night, the A-list hunks helped groom Turen during the traditional Jewish hora dance, lifting him on his chair as the crowd cheered. For his part, Efron “was rapping towards the end of the wedding. It was hysterical!” the guest raves. Although Stewart didn’t exactly let her hair down as much as the famous men around her, “Kristen is really really sweet!” the guest adds. I hope they had fun–it looks like it was almost a fan event. yeah, haters to the left. HAha! 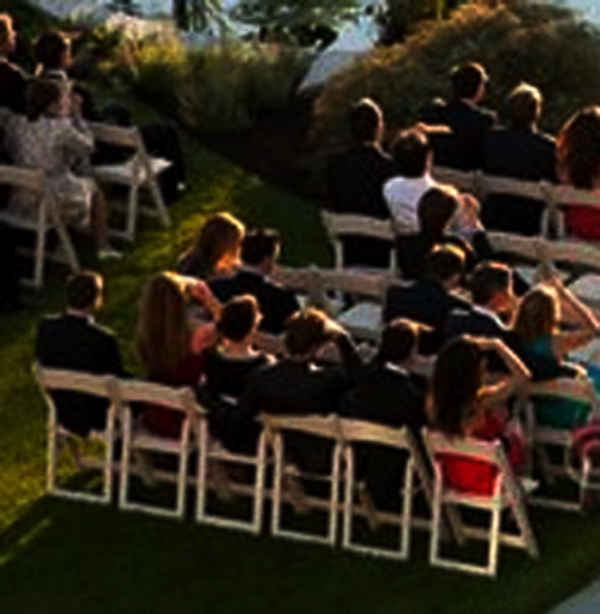 kristen did wear a dress at the wedding ceremony then changed to her jeans.